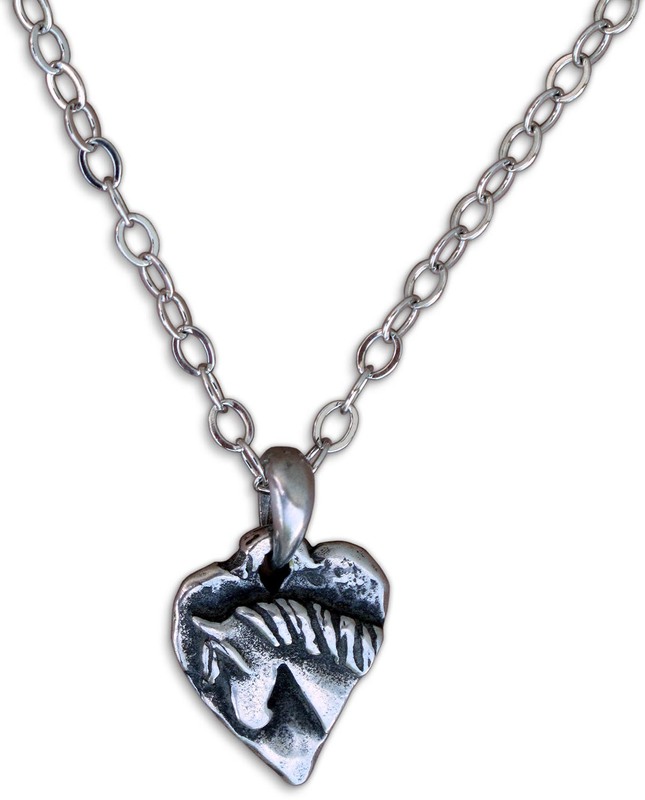 Weighty pewter heart is about 1" tall, with sweet pony face on the front and "Love" inscribed on the back. It hangs on an unusual silver chain made of oversize links (18" long). Made in USA.